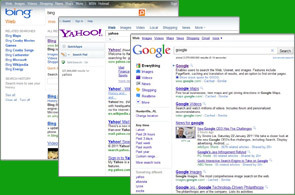 Hubpages usually rank high on search engines, as do Squidoo Lens. If you have a competitive niche, then you might have noticed that some of the search results on the top listings are actually Hub pages. Hubpages is a network of user generated pages where you can not only create a sales page but also promote it within the network itself. You can create your Hubpage geared toward selling a product or as a satellite page to boost your existing website's PR (Google Page Rank) and SERP ranking (Search Engine Results Page - the page number in which your site is listed). Since Hubpages is dofollow, you get a powerful relevant backlink to your website. We create the Hubpage and then do promotion via Social Bookmarking services. Hubpages can be a great way of boosting your websites traffic and page rank. The website is PR8, so having a backlink from them (even on a subpage) is of great benefit to your website. Not only will we create a professional, well designed Hubpages for you, we will also promote it for you. In doing so, this will result in the Hubpages page for your company to get indexed within the search engines, hence creating yet another search result for your prospects search. For example, if you have a carpet business and someone searches "carpet (your city name)" and you have your main website, your Hubpage, your Squidoo page, and your Facebook page all list on the first page of Google - they you would have 4 of the top 10 results all pointing to YOUR properties!